Some dogs love it, others hate it. But humans aren’t always sure how often it should be done. What is it? It’s bath time! We humans bathe or shower on a daily basis, but when it comes to our pets, we’re a lot more lax. After all, they don’t have to go to work. They don’t have to interact with people who would notice a missed shower or two. 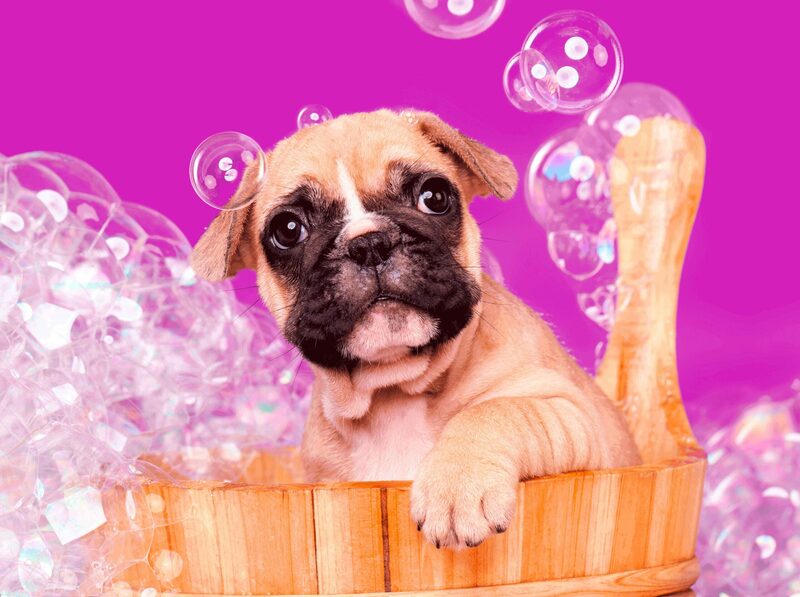 Dogs don’t need to be bathed nearly as often as humans, but they do need an occasional bath. There’s no set rule, so you don’t have to worry that you’re not doing it exactly right. It all depends on the type of dog you have and his or her activities. A dog that spends a lot of time outside, as well as a dog with longer or thicker fur, will need to be bathed more often. A dog that rarely goes out and has less fur will need to be bathed less. Brushing can help freshen up a dog’s fur in between baths, and should be done on a more frequent basis. You’ll want to make sure you have shampoo, a brush, and a towel ready to go, and double check that your bathroom door is closed–you don’t want your wet dog running all over the house! Be extra careful if you give your dog a bath outside during the summer. Some dogs have been known to get loose and roll in some mud (or worse) right after you’ve cleaned them. And if your dog needs some extra special pampering, you can always bring him or her to us and give them the experience of a professional grooming. Their day at the spa can even include a facial! Are you a pet parent in the Morristown, NJ area? To find out more about Morris Animal Inn’s award-winning boarding, grooming, training, and daycare services, give us a call at 973-539-0377.